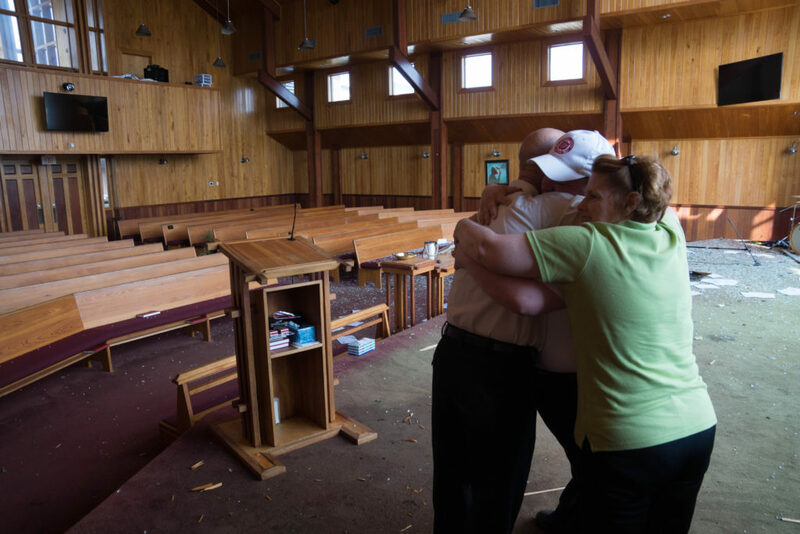 In the minutes and hours that followed the Saturday morning tornado that ripped through Hattiesburg, Mississippi and The Salvation Army Corps, the Corps Officers couldn’t help but wonder what will the future bring…what next? But the feeling wasn’t for themselves or even their Corps’ buildings which suffered extensive damage, it was for the community and those they help through the programs offered here. “We had to make sure we took care of the community that supports us, because the damage through this area is wide ranging. It was just right here,” said Captain Patrick Connelly, Hattiesburg Corps Officer. “We knew immediately we needed a game plan to run our social services our Boys and Girls Club and to meet needs,” said Captain Stacey Connelly, Hattiesburg Corps Officer. Captain Ronnette Smith says helping others is just what Salvation Army officers do. “That’s just who we are, who God made us to be. The “SS” on our uniforms stand for “saved to serve”,” said Captain Smith. Captain Smith lived on campus until December. She hadn’t finished her move completely. Her on campus apartment was flooded when the storm ripped off the roof and burst a water pipe. “I can’t describe it, it’s a surreal feeling. You know what it’s suppose to look like but it doesn’t anymore,” said Captain Smith. Work continues on the facilities the day after the storm and progress has been made to make sure the roofs to every building are covered and won’t let more water in. It will be several more months, however until they will be usable. “They are telling us six to nine months until we can move back in. A portable office has already arrived, so that will be where we work for now,” said Captain Stacey Connelly. The officers here continue to get support from their fellow Salvation Army officers across the country whether it be by phone, text or social media, but it was one visit that meant the most. Majors Roy and Jackie Johnson arrived at the Corps just hours after the tornado Saturday. Captain Patrick has known Major Roy Johnson since he was five years old. The Major’s hug brought tears.